Note: some additional books for recommended reading are not included in the course fee. A Completion Certificate (PDF electronic file) is provided once you’ve completed this course. The total course hours on this certificate are 24.25 non-contact hours and 0.75 contact hours (25 hours total). 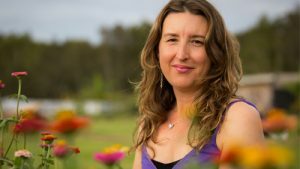 Members of both Yoga Alliance and Yoga Australia are required to complete ongoing professional development to keep their membership current. By completing the Bliss Baby Yoga Online Postnatal Yoga Teacher Training course, teachers are able to accrue some of these necessary professional development hours as well as to gain the all-important knowledge and skills to launch them into this specialised area of women’s health. For Yoga Australia members, 12 CPD points (Continuing Professional Development) must be accrued each year to keep your membership active. These can be accrued through contact or non-contact hours of study. Our Online Postnatal Yoga Teacher Training course is predominantly non-contact study, however as our course includes an assessment component (final case study assignment), for Yoga Australia members (as per their Continuing Education Policy) the hours spent completing our course are counted as contact hours, core to yoga teaching (1 point per hour). 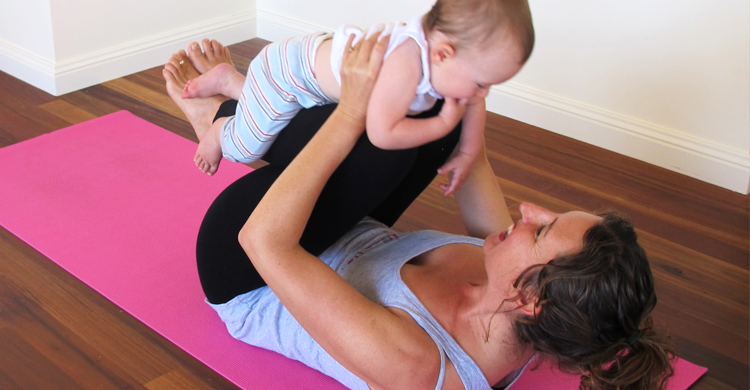 The Bliss Baby Yoga Online Postnatal Yoga Teacher Training course is 25 hours (0.75 contact hours and 24.25 non-contact hours), so Yoga Australia members will accrue at least 25 CPD points. Our 25 hour Online Postnatal Yoga Teacher Training course (24.25 non-contact hours and 0.75 contact hours) can therefore meet the 20 non-contact hours requirement and 0.75 of the required 10 contact hours. FAQ: If I want to be able to teach Postnatal Yoga classes, do I have to already be a qualified yoga teacher to enrol in your online course? FAQ: Can I get RPYT (Registered Prenatal Yoga Teacher) registration with Yoga Alliance by completing the Online Prenatal & Postnatal Yoga Teacher Training course? Unfortunately Yoga Alliance RPYT (Registered Prenatal Yoga Teacher) certification cannot be achieved through distance or online education, such as our Online Prenatal & Postnatal Yoga Teacher Training course, as there is a requirement of at least 75 contact hours of study (face-to-face training with a certified teacher). Any hours of study completed via distance / online are considered ‘non-contact’ hours. Once you’ve enrolled and your payment is confirmed, you’ll be sent an email with your log-in details to log into our special student section of the website where you can get started with your course. Our Online Postnatal course is easy to navigate—it’s all clearly laid out and you don’t have to be a ‘techy’ person to figure it out! This course consists of 2 modules. Each module consists of a varied and stimulating mix of audio lectures, video-lectures, sample video classes, and accompanying reading from the course manuals. Have your yoga mat (and sometimes other props like bolster, brick) at the ready as there will be practical segments to some of the lectures. The focus of this course is on ‘experiential learning’ so that you can experience many of the recommended practices yourself. At the end of the course content you will be required to complete a ‘case study’ written assignment. Upload your completed assignment to the website (very easy) and one of our Bliss Baby Yoga Facilitators will mark it and be in contact to arrange the final step—your one-on-one Skype session. In your Skype session your Facilitator will give you valuable constructive feedback on your assignment and it’s also a great opportunity for you to ask any questions about the course content. The beauty of this Online Postnatal Yoga Teacher Training is that you can complete it in your own time, to fit around your other commitments. The total course hours that will be recorded on your Completion Certificate are 25 hours—this is what we estimate it will take you to complete this course, including the homework tasks, background reading and completing your final assignment. The online course provides you the flexibility of studying from your own home, at your own pace. It is ideal for qualified yoga teachers, recent teacher training graduates or those still completing their yoga teacher training who want to specialise in the growing field of prenatal and postnatal yoga. The course is also enjoyable and informative for keen yoga practitioners—new mothers. It will help to deepen your knowledge of how yoga can support you during this new and exciting stage in your life. Ana, a mother-of-one, is passionate about sharing the benefits and joys of yoga for every stage of one’s life journey. This online course has been written and recorded by Ana Davis. Online course students will experience audio lectures with Ana, as well as see Ana teaching a real and Mums n Bubs Yoga class, demonstrating how to incorporate baby in yoga postures, and teaching Postnatal Restorative Yoga sample classes. 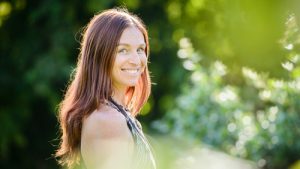 Ana is also a facilitator on our Online Prenatal Yoga Teacher Training course, Online Level 1 Restorative Yoga Teacher Training course, and Online Level 1 Fertility Yoga Teacher Training Course. Our Online Postnatal course trainees will have the opportunity to meet Star (or Rosie / Kanako / Mari) face-to-face during the final one-on-one Skype session. Our Online Postnatal course trainees will have the opportunity to meet Rosie (or Star / Kanako / Mari) face-to-face during the final one-on-one Skype session. Kanako Yajima has been practicing yoga since 2000 and teaching since 2006. 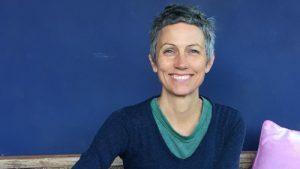 She has been trained in various styles of yoga including Solomon Yogalates, Ishta System with Rachel Zinman, and Vini Yoga & the Five Element Form with Peter Clifford. She has completed a number of Pre & Postnatal Yoga trainings and has been working with pregnant women and new moms since 2010. Kanako has also worked internationally in many teacher trainings, retreats and workshops as both interpreter (for Japanese groups) and as a teacher trainer. 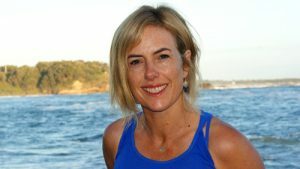 Thanks to her experience as a yoga translator/interpreter and her dedication to knowledge and growth, she has been immersed in various teachings including yoga philosophy, anatomy & physiology, pranayama and meditation and her versatile and unique teaching styles reflect that extensive knowledge and experience. She is grateful everyday for being a mother to her daughter as it has been the most challenging yet beautiful and transformational yoga sadhana in life and she loves sharing the magic of yoga practices with students from that heart-felt space. 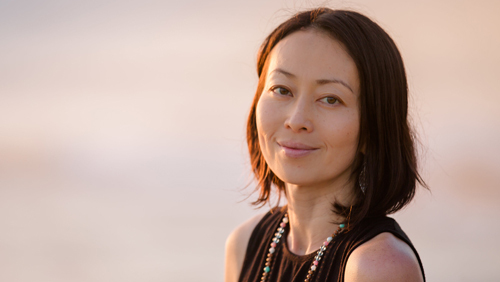 Kanako is a Senior Course Facilitator for our Bliss Baby Yoga Online Prenatal & Postnatal Yoga Teacher Training courses, and works as a translator for our Japan-based Prenatal & Postnatal Yoga Teacher Training courses. Our Online Postnatal Yoga Teacher Training course trainees will have the opportunity to meet Kanako (or Rosie / Star / Mari) face-to-face during the final one-on-one Skype session. Our Online Postnatal course trainees will have the opportunity to meet Mari (or Star / Rosie / Kanako) face-to-face during the final one-on-one Skype session. Maria’s video”Yoga for Grownups”, which offers safe home practices suitable for postpartum recovery, is a bonus included in our Online Postnatal Yoga Teacher Training course. 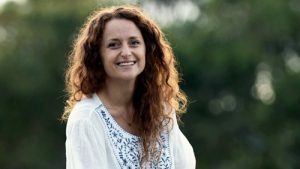 Lauren’s lecture on “Perinatal Mental Health” is included in our Online Postnatal Yoga Teacher Training course, and Lauren has also made some valuable contributions to our Postnatal Yoga training manual in this area of study. Complete the Case Study in your own time and then simply upload your assignment through the website. Once you’ve uploaded assignment, one of our Senior Bliss Baby Facilitators will mark them and will be in contact (usually within 7 – 10 days) to schedule your personal Skype session. In your 45 minute Skype session with your Bliss Baby Yoga Facilitator, she will share her constructive feedback on your assignment and this is also your opportunity to field any questions you may have about any of the content in the course. Our online students report that they get so much out this time one-on-one with their course Facilitator.